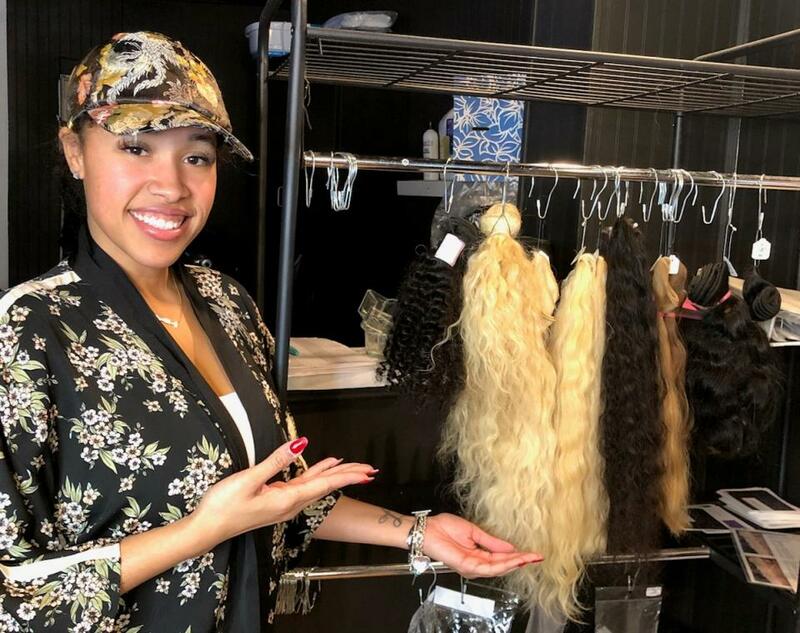 A loan of $10,000 helped a local salon expand by launching an online line of premium hair extensions & products. I grew up in the city of Pittsburgh with my Father, Mother and younger sister. My father is a Barber and Businessman. He has been in the beauty industry for 25 years today. My Mother too was a working woman, who ended her career at 32 after discovering she had heart disease. My mother is still living strong today :) Coming from a strong, business savvy family definitely set the platform for my sister and I. We both furthered our education, and started our own businesses in our young 20s. Today, I'm 5 years in business, working on expanding and bringing a host of new things to Aliya Wray's. Outside of the salon, I want to get involved in other investments, such as real estate. My sister and I just started a business together, an online boutique (coming spring 2018). I am also a part of a freelance production company. I'm able to utilize my degree, in Communication Media Studies. We started our first web series in Fall 2017 and hope to market it on social media and gain revenue in the future. I'm working extremely hard, and often just need some help to keep my dreams alive. This loan will definitely be appreciated, used correctly and most of all, helping with my success. It will help a woman entrepreneur launch her online line of premium beauty products. In January 2013, I decided to open my first beauty business after I was inspired by a 24-hour nail shop I visited during my internship experience in Las Vegas. I wanted to open something "cool" in Pittsburgh, and show my talent with nails! I employ a few hard-working employees at my shop in McKees Rocks outside of Pittsburgh, PA.
My future goals are to expand, build our internet clientele with product sales, hair sales, and tutorials. I also want to get a non-profit started within Aliya's Wray's, my proposal for it is complete! This past summer I took a trip to Chennai, India. There I visited a Hindu temple where hair sacrifices are practiced, and purchased some extensions for Aliya Wray’s. Some Indian women donate their hair voluntarily, as a religious practice, and then the temples sell the hair to be made into extensions, wigs, and hair pieces, and use the money to fund orphanages and other community projects. This loan will help to contribute to that cause. I believe revenue and profit will more than double with this contribution to the hair company. So far, there has been a huge response to our hair extensions, it’s just hard to keep hair in stock with a low budget. With this loan, we can purchase a large shipment of extensions so I have enough on hand to meet my customers’ demands. The Aliya Wray’s team and customers are excited about expanding our reach and are grateful for your support. I'm growing in this business, providing for my family, managing a team, and lengthening my career. This loan will help to assure that happens, and keep this dream alive! Why are you endorsing Aliya? We are excited to support Aliya in growing her business here in Sto-Rox. Aliya brings a terrific amount of energy and passion for her work and her business. She has successfully grown the business from the ground up here in our community and has created a hub for community to come together through her business, as well as a draw of clients from around the region. She is resourceful and entrepreneurial and she is working ambitiously to grow while continuing to be pragmatic about how to execute that growth. Aliya's business is important to the Broadway business district and she is excited to continue to grow in, and with, this community. We are excited to be able to support her in that goal. We're confident that Aliya and her business will use this Kiva loan intelligently and with thoughtful purpose to flourish here.